I hadn't heard this until last weekend. When strolling downtown, I noticed this poster detailing a proposed streetcar system that will cover a large portion of downtown. There's hardly anything on the internet about this, but I imagine it'll look something like the S Line that just opened up in Sugarhouse. There is an interactive official site here (sort of an open city hall, which is cool), where people are discussing the project and proposed routing. 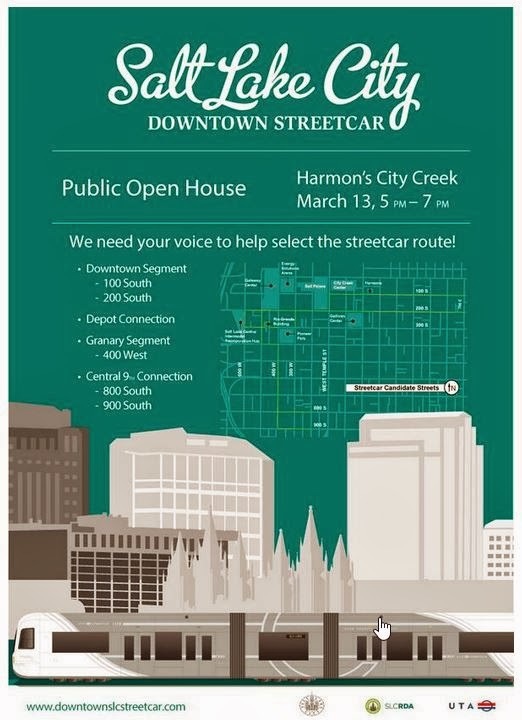 If you're more of an in-person kind of person, there's an open house tonight at the City Creek Harmon's from 5-7PM. Here is UTA's page on the streetcar, which puts a completion date of fall 2014(?! 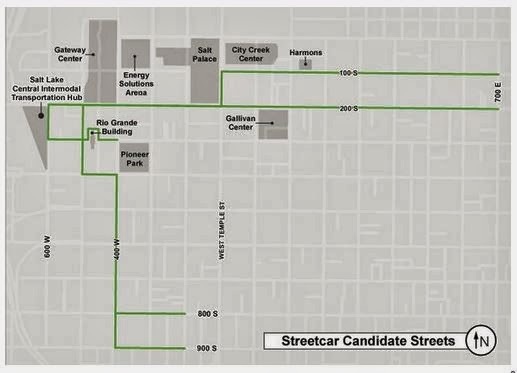 ), and here is a 2010 report on the proposed streetcar system from the SLC Redevelopment Agency.